This rainbow delight was my recent purchase from the Topshop sale, I'd seen it when it was full price so when it got reduced to £15 it was a bit of a no brainer really. 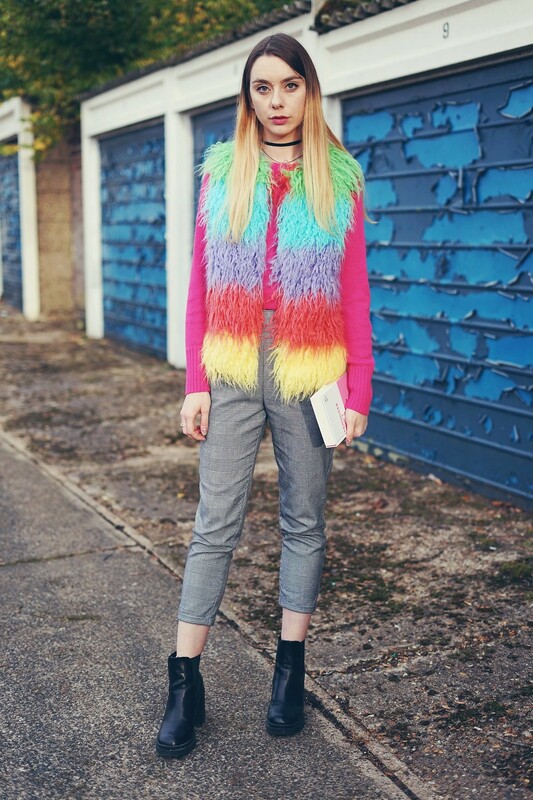 It's one of those hideous yet beautiful things, like the elusive rainbow Primark Puffa jacket everyone is searching for. I appreciate the item isn't to everyone's taste but we can all appreciate a bargain at the very least. 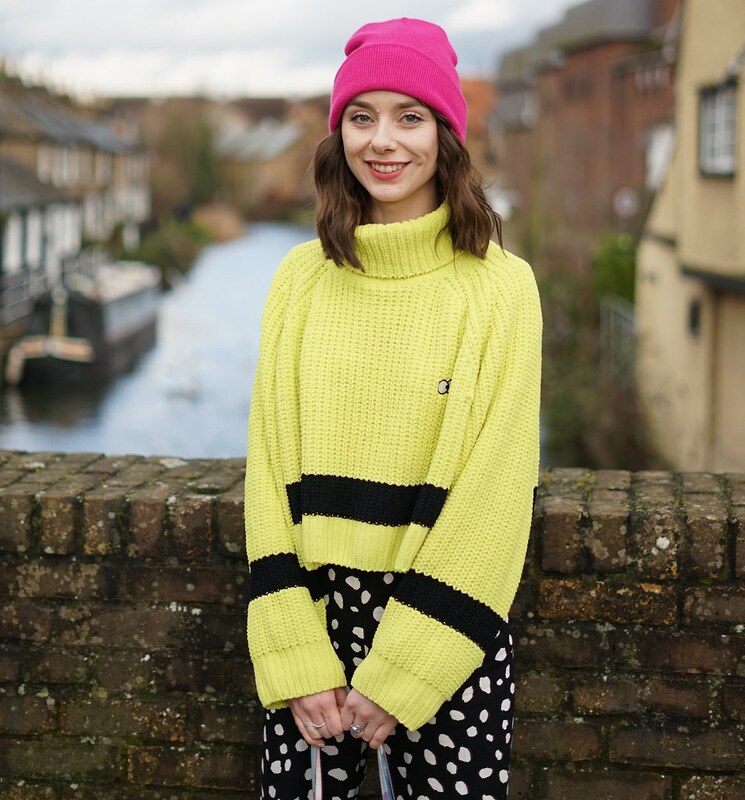 One of the things about Topshop is that it caters to lots of different styles, arguably a rather cropped range of different styles but different style all the same. It caters to different ages (I'm not saying it's the most inclusive of brands) but it does cater to different ages. It is pretty popular for teens and young women. Lots of us reading this can probably remember adoring Topshop in our teen years and loving our new pair of jeans. Or going to try a bunch of stuff on with friends. Maybe looking there for an “out out” dress when we were old enough for clubs. The age at which, I assume, a lot of Topshops customers begin shopping there is one of the reasons I was most disappointed at the recent news about Topshop. If you haven't heard anything about #pinknotgreen then check out the hashtag or see this thread from Penguin books. A book curated by Scarlett Curtis had a pop up in store. It's a book on Feminism. An introduction to Feminism if you like, an insight into what feminism means to a variety of different women. The perfect book for Topshop's young (or even older) audience to read. And a great way to contribute to an amazing cause as all royalties from the book will be going to Girl Up, an initiative hosted by the United Nations Foundation. Yet the pop up was dismantled. The main issue for a lot of people is that Topshop seems fine to align their views to a place that will increase their profit, the slogan Feminist t-shirt being a prime example. However a book, on this very topic, is for some reason deemed not appropriate. Of course after the backlash against Philip Green, there was a very small statement on twitter about how they do in fact support the cause and will be donating £25,000 to Girl Up. There is literally no answer in there at all. Just a glossing over the problem with money. What an awful message to send to their audience, replacing what would have been a useful and insightful message for their target audience. 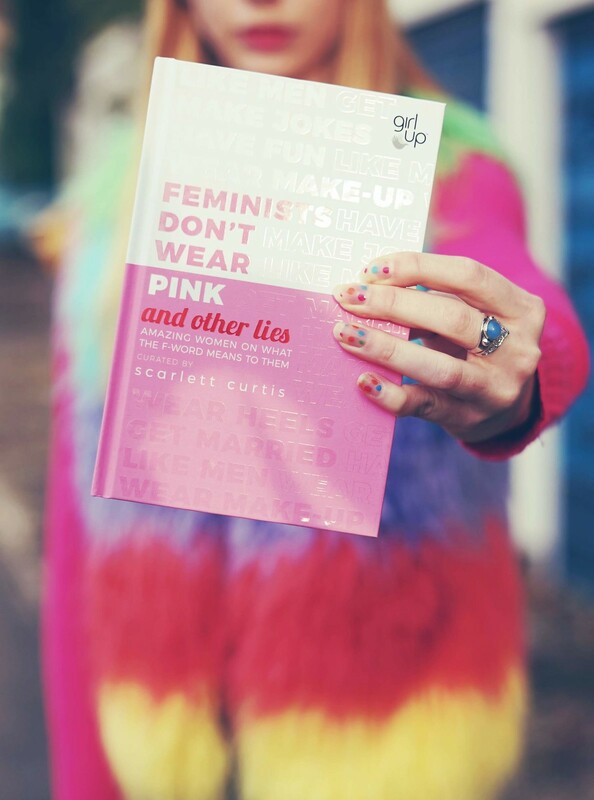 I can only hope that the media attention has given the book an opportunity to reach readers that may not have otherwise shown interest in Feminists don't wear pink and other lies. I hope that another brand steps up and does this pop up event, that I’m sure a lot or planning, effort and money went into. p.s) I haven’t titled this blog post in relation to my point, as I wanted those that show an interest in Topshop to find out more about this book. Rather than using the book to draw in readers.